Posted on May 25, 2013 by Lena K.
So many great news in such a short time! Just shortly after the announcement of the “Sengoku no Kuroyuri” translation, we have yet another school translation club deciding to take on the translation of another untranslated yuri Visual Novel, Limit Panic! 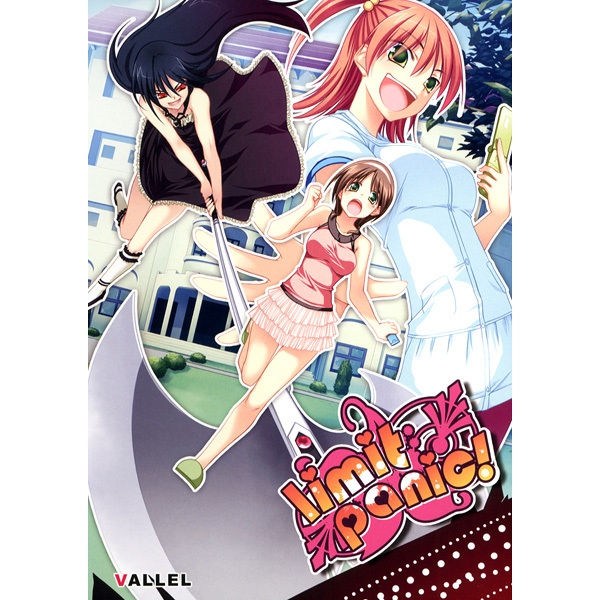 Limit Panic is a non explicit Girls Love Visual Novel by Vallel. The player takes on the role of a female protagonist, Mana, who is visiting a rich friend’s house for the summer. I’ll have the same job as in the Sengoku no Kuroyuri project and do the announcement as well as keeping you guys up to date with some status updates every now and then. Also we have some news regarding the Sengoku no Kuroyuri Visual Novel. Also they changed their team name into “FlashSpeed Translating Group”, which is pretty fitting since they’ve already translated about 20% of the whole Visual Novel in such a short amount of time. And there’s even more great news. When they are done translating Sengoku no Kuroyuri, they will most likely start working on Otome Crisis. 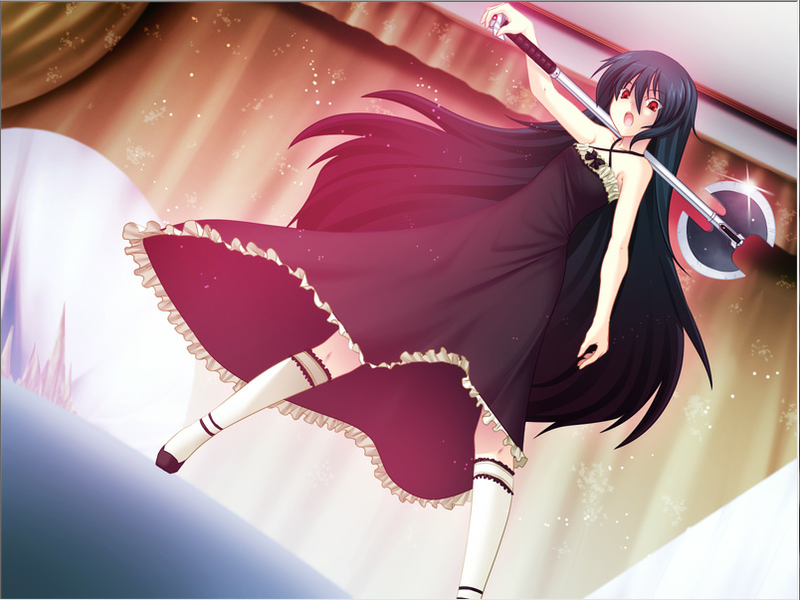 This entry was posted in News, Visual Novel, Yuri and tagged Limit Panic, Sengoku no Kuroyuri by Lena K.. Bookmark the permalink. Hopefully one of the endings isn't completely insane and you do get to hook up with one of the girls…without requiring any chopped heads. As usual, keep us posted Lin Kuei Kunoichi-chan. Also I think you might be right. From what I saw in the CGs, the characters really look like they are about to kill each other in almost all of the pictures. Let's just hope for some yuri scenes that won't look that murderous. I've played through the game with ITH and Translation Aggregator, and I can tell you that while I very much enjoyed it, it is full of bad endings. Most are extremely abrupt and inexplicable, while others usually follow a choice where you choose to side with one girl and then get killed by the other. When I played the game with ITH, the choices didn't get translated, so these ending were especially tricky to avoid. It's funny. On a whim, I did a search for “Limit Panic”, on the off chance that somebody might finally attempt to translate it, and look what pops up. I look forward to the translation. Oh yes, I've read about the huge amount of bad endings in this Visual Novel and it might sound weird but I'm excited about this as well. Well in any case I'm really excited about this one, as well as Sengoku no Kuroyuri! Aaaaaaand the project is dead, just like the group working on this translation. I really haven't heard about them in a while. But they have made some progress, I just hope that they decide to put the files online so someone else can continue. if you can show me where / how much of the game is translated or even a patch, i can probably translate the rest of the game. Unfortunately, I can't show you. I'm not part of the group, I'm only there to announce their updates. If you want to help, you can always talk to them directly. Their Twitter names are listed above.